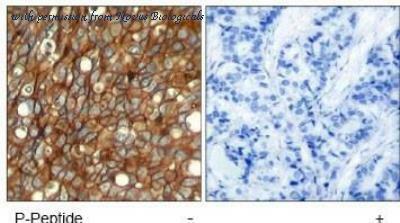 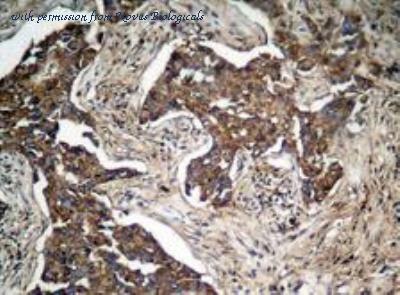 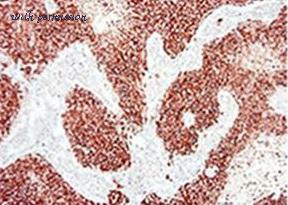 Formalin-fixed, paraffin-embedded human breast carcinoma stained with c-erbB-2 antibody using peroxidase-conjugate and AEC chromogen. 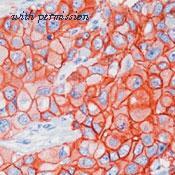 Note intense cell membrane staining of tumor cells. 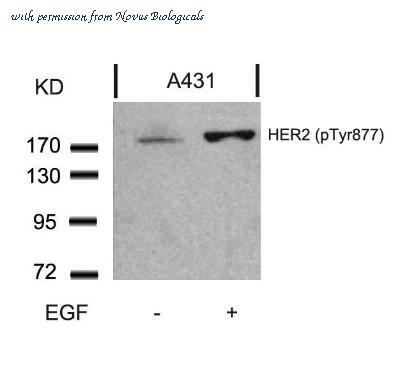 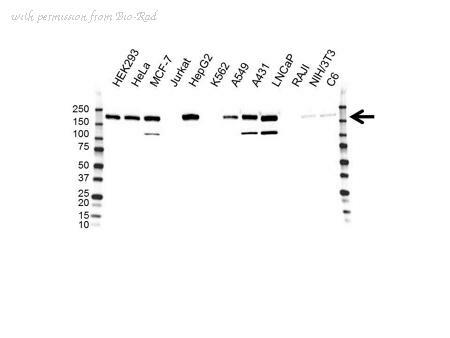 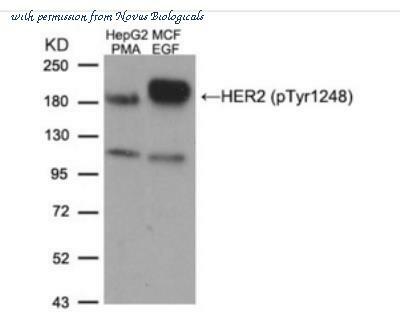 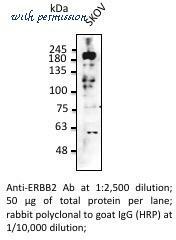 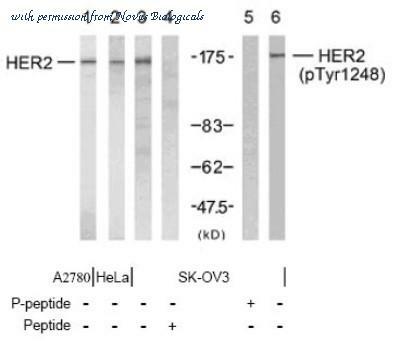 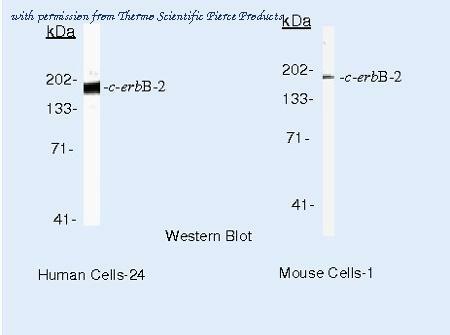 Western Blot: ErbB2/HER2 Antibody [NB100-81957] - Analysis using HER2 (Ab-1248) antibody (Line 1, 2, 3 and 4) and HER2 (phospho- Tyr1248) antibody (Line 5 and 6).